Frederik Van Remoortel is a partner in the Brussels office of Crowell & Moring and has been admitted at the Brussels bar since 1998. He joined Crowell & Moring in 2001. Frederik focuses on corporate, commercial, data protection, and labor & employment law. Frederik regularly assists international companies in setting up, operating, and restructuring their business in Belgium. This includes corporate transactional matters including acquisitions, mergers, joint ventures, and other collaborative arrangements, as well as general corporate counseling. A substantial part of Frederik's work consists of the drafting and negotiation of a wide variety of commercial contracts, such as shareholders agreements, asset transfer agreements, licensing and distribution agreements, agency agreements, co-operation agreements, software and cloud computing contracts, complex telecommunication agreements such as (Full) MVNO agreements, outsourcing, supply agreements, independent contractor agreements, various types of lease agreements, and terms and conditions. To complement his corporate practice, Frederik also advises clients with respect to individual and collective Belgian labor and employment law, in particular in the framework of restructurings. Since the start of his career in 1998, Frederik has advised clients with respect to Belgian and EU data protection and privacy legislation. He has been a member of the firm's privacy group for many years. He regularly performs global privacy audits for multinational clients. He assists clients with the adoption and implementation of compliance programs and questions related to international data transfers. Frederik closely monitored the negotiations on the comprehensive reform of EU data protection rules, which resulted in the introduction of the European General Data Protection Regulation (GDPR) that is applicable to all EU Member States. He works closely on GDPR implementation with our client’s Data Protection Officers (DPO’s) and other individuals in charge of data protection. Frederik is a Certified Information Privacy Professional/Europe (CIPP/E). He was also a member of the IAPP European Advisory Board 2015-2016. Frederik's experience includes both contentious and non-contentious work. He has extensive litigation experience before the Belgian Courts in corporate, commercial and labor & employment matters (shareholder disputes, termination of distribution agreements, employee termination cases, etc.). He also has successfully represented clients in several import duty recovery projects which included both the argumentation towards the Belgian customs authorities as well as litigation to obtain reimbursement of import duties. Frederik also has valuable experience as a substitute judge at the Brussels Commercial Court (August 2010 - March 2015). Representative clients whom Frederik works for include telecom operators, pharmaceutical companies, software developers, internet service providers, record companies, electronic consumer and professional electronic equipment manufacturers and distributors, defense/aerospace companies, manufacturers of medical equipment, carpet manufacturers, clothing companies, and companies in the automotive sector, all based in various jurisdictions. Frederik also assists several U.S. and Belgium based nonprofit and trade associations. Frederik is a qualified lawyer in Belgium and obtained his law degree from the Universities of Namur and Leuven. He obtained a postgraduate degree in tax law from the University of Leuven. During his studies at the University of Leuven, he studied six months at the University of Stellenbosch (South-Africa). Frederik is recommended in the Legal 500 EMEA 2014, 2015, 2016, and 2017 (Tier 5) editions for corporate and mergers & acquisitions and was praised in the 2016 edition as being "reliable like a Swiss watch." The 2014 guide stated that the Brussels office's Corporate and M&A groups' advice is regarded by clients as being "great value for money" and the 2016 edition mentions that is "stands out in terms of reliability." Frederik is referred to as being "meticulous" in the 2018 edition. In the 2016 edition of the Legal 500 EMEA, Frederik is mentioned as a “superb data privacy lawyer” and the Brussels data protection team is ranked Tier 2 in the 2017 and 2018 edition. 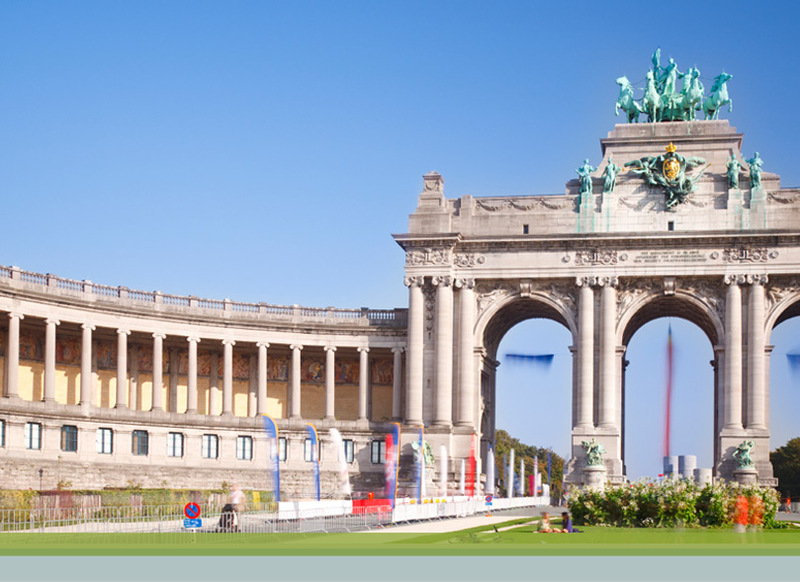 The Brussels Labor and Employment Group is lauded in the Legal 500 EMEA as a "very efficient" team that provides "thoughtful legal advice" and "great value for money" (2014), that produces 'a very high service level" (2015), is "well known for its restructuring work" (2016), and "is also experienced in domestic and cross-border restructurings, compliance, privacy and other regulatory issues" (2017 – Tier 4). "Dealing with Data - How to Keep Up in Providing Data, Recognize its Value and Make the Best Use of It," 24th Medicines for Europe and 21st IGBA Annual Conference, Budapest, Hungary (June 14, 2018). Speaker: Frederik Van Remoortel. "Code of Conduct, Disclosure & GDPR (General Data Protection Regulation)," 14th Medicines for Europe Legal Affairs Conference (LAC), London, UK (April 25, 2018). Moderator: Frederik Van Remoortel. "The Various Responsibilities in Terms of Data Protection: Controller and Processor, DPO and Company," Day of the Privacy Professional, Brussels, Belgium (September 21, 2017). Moderator: Frederik Van Remoortel. "Roundtable Discussion on the Falsified Medicines Directive," Medicines for Europe 13th Legal Affairs Conference, London, UK (March 22, 2017). Moderator: Frederik Van Remoortel. "De nieuwe Algemene verordening gegevensbescherming (GDPR) – Analyse en actiepunten," ADEB – VBA Presentation (September 13, 2016). Speaker: Frederik Van Remoortel. "De verplichtingen en mogelijke aansprakelijkheid van de verschillende partijen betrokken bij de verwerking van persoonsgegevens (zgn. “verwerkingsverantwoordelijken” vs. “verwerkers”) en hoe daar best mee om te gaan.," Belgian Direct Marketing Association Legal Day (June 21, 2016). Speaker: Frederik Van Remoortel. “EU-US Personal Data Transfers Under the Privacy Shield and New European Data Protection Regulation,” Crowell & Moring Seminar, Washington, D.C. (March 9, 2016). Presenters: Ted Dean (deputy assistant secretary for services with the U.S. Department of Commerce International Trade Administration), Joseph Alhadeff (VP Global Public Policy and Chief Privacy Strategist at Oracle), Christopher Hoff, Robin Campbell, and Frederik Van Remoortel. "The Processing of Personal Data of Employees," Kluwer Publishers Webinar (October 16, 2014). Presenter: Frederik Van Remoortel. "The New Collective Bargaining Agreement n° 109 Regarding the Obligation for Employers to Provide the Reasons for a Termination of Employment," Kluwer Publishers Webinar (May 6, 2014). Presenter: Frederik Van Remoortel. "Privacy Rules and Social Media," Social Media: IP, Labor & Employment and Privacy Questions Crowell & Moring Seminar (April 3, 2014). Presenter: Frederik Van Remoortel. "Privacy and Data Protection: Proposal for a New EU Data Protection Regulation," Belgian Legal Counsel Institute (BLCI) Seminar on Regulatory and Compliance Developments, Brussels (October 10, 2013). Presenter: Frederik Van Remoortel. "Cloud Computing – Status en Impact van de GDPR," Data Protection & Privacy – The GDPR in Practice, N. Ragheno (ed. ), Anthémis (2017). Author: Frederik Van Remoortel. "Financial Institutions and the General Data Protection Regulation," Financier Worldwide Magazine (November 2016). Author: Frederik Van Remoortel. "Privacy & Cybersecurity Weekly News Update – Week of October 3," Crowell & Moring's Data Law Insights (October 10, 2016). Authors: Charles Austin, Frederik Van Remoortel and Lisa Weinert. "Privacy & Cybersecurity Weekly News Update," Crowell & Moring's Data Law Insights (October 7, 2016). Authors: Danielle Rowan, Frederik Van Remoortel and Lisa Weinert. "Privacy & Cybersecurity Weekly News Update," Crowell & Moring's Data Law Insights (October 5, 2016). Authors: Danielle Rowan, Frederik Van Remoortel and Lisa Weinert. "Privacy & Cybersecurity Weekly News Update - Week of September 28," Crowell & Moring's Data Law Insights (September 28, 2016). Authors: Danielle Rowan, Frederik Van Remoortel and Lisa Weinert. "Privacy & Cybersecurity Weekly News Update – Week of September 12," Crowell & Moring's Data Law Insights (September 16, 2016). Authors: Jodi G. Daniel, Danielle Rowan, Frederik Van Remoortel, and Lisa Weinert. "EU Court of Justice Advocate General Says Safe Harbor is Invalid," Crowell & Moring's Data Law Insights (September 23, 2015). Authors: Robin B. Campbell, Christopher Hoff, and Frederik Van Remoortel. "EU Data Protection Rules Might Transform the Internet," Crowell & Moring's E-Discovery Law Insights (November 1, 2014). Co-Authors: Cari Stinebower, Frederik Van Remoortel, Jonathan Kallmer, Josh Tzuker and Robin B. Campbell. "Belgian Cyber Security Guide," Crowell & Moring's E-Discovery Law Insights (September 12, 2014). Author: Frederik Van Remoortel. "What You Should Know About the Changing U.S.-EU Safe Harbor Agreement," Crowell & Moring's E-Discovery Law Insights (May 5, 2014). Authors: Robin B. Campbell, Frederik Van Remoortel and Josh Tzuker. "Will We Have a New EU Data Protection Regulation in 2014?" Crowell & Moring's E-Discovery Law Insights (October 17, 2013). Author: Frederik Van Remoortel. "Apps on Smart Devices and Data Protection: February 27, 2013 Opinion of the Article 29 Working Party Provides Valuable Guidance," Crowell & Moring's E-Discovery Law Insights (April 1, 2013). Author: Frederik Van Remoortel. "Privacy and Data Protection: EU Commission's Proposal For New Data Protection Regulation – Status," Crowell & Moring's E-Discovery Law Insights (January 29, 2013). Author: Frederik Van Remoortel. "Factoring," Bijzondere overeenkomsten. Artikelsgewijze commentaar met overzicht van rechtspraak en rechtsleer (August 2012). Co-Authors: Frederik Van Remoortel and Steven Verbeke. "Jaarboek Sociaal Overleg: De vakbondsafvaardiging 2010," ["Yearbook Social Consultation: Trade Union Representation 2010"], Kluwer (2010). Author: Frederik Van Remoortel in cooperation with Emmanuel Plasschaert and Catherine Mairy. "De kwalificatie van de overeenkomst door partijen en de beoordelingsmarge van de precies motiverende feitenrechter," ["The classification of the agreement by the parties and the margin of appreciation of the judge accurately motivating his decision"], T.B.B.R. 2005, n° 5, 276-277 (January 1, 2006). Author: Frederik Van Remoortel. "The employment agreement of executives," IFE Seminar on executives' remuneration, Antwerp (February 16, 2005). Author: Frederik Van Remoortel. "Jaarboek Sociaal Overleg: De vakbondsafvaardiging," ["Yearbook Social Consultation: Trade Union Representation"] Kluwer (December 2004). Author: Frederik Van Remoortel in cooperation with Emmanuel Plasschaert and Catherine Mairy. "Homologatie van het besluit tot verplaatsing van de zetel van een vennootschap in vereffening," ["Homologation of a decision to transfer the corporate seat of a company during a winding up procedure"], R.W. 2003-04, ed. 22, 872-873 (annotation under the Ghent Appeal Court decision dd. January 13, 2003). Author: Frederik Van Remoortel. "E-mail en internetgebruik in lokale besturen [E-surveillance in local governments]" Praktisch Handboek Personeelsmanagement (January 2, 2003). Author: Frederik Van Remoortel in cooperation with Christoph De Preter. "De Discriminatiewet: Een wet met een potentieel grote impact [The discrimination Act: An act with possibly an important impact]" RABG 2003, ed. 9, 510-513 (January 2, 2003). Author: Frederik Van Remoortel. "De Discriminatiewet van 25 februari 2003 en de gevolgen in arbeidsverhoudingen," ["The Discrimination Act of February 25, 2003 and the consequences on labor relations"], Het Poelaertplein, 2002-2003, n°5, p. 8 (January 1, 2003). Author: Frederik Van Remoortel. "Factoring," Recht voor de Onderneming, 2e edition (2001). Author: Frederik Van Remoortel. "Factoring," Bijzondere overeenkomsten. Artikelsgewijze commentaar met overzicht van rechtspraak en rechtsleer (1999). Author: Frederik Van Remoortel. "Factoring," Advocatenpraktijk, Kluwer (1999). Author: Frederik Van Remoortel.